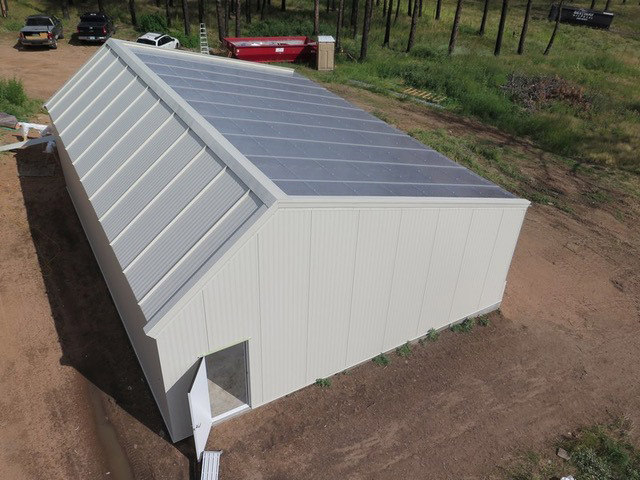 We’ve designed our greenhouses to be durable, energy-efficient, year-round growing environments, and also easy and efficient to build. 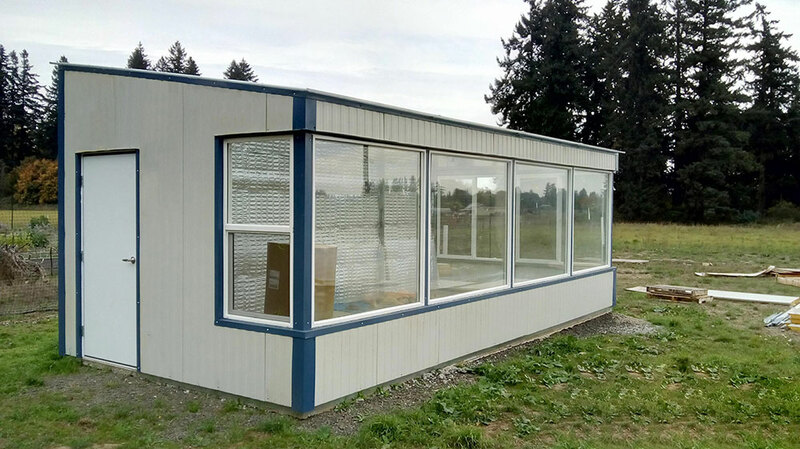 With our pre-engineered greenhouse plans, we have taken the time, cost and guess-work out of building a back-yard solar greenhouse. 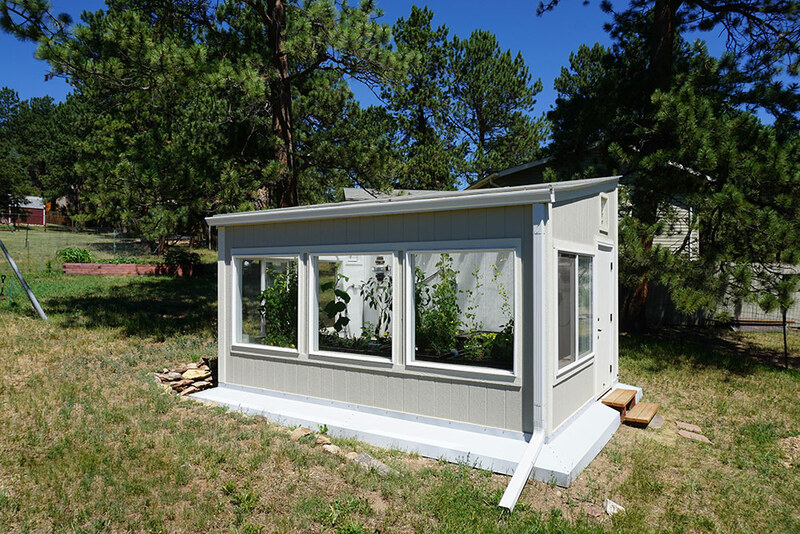 Greenhouse dimensions and roof layout are designed to reduce waste and installation time. Our materials list allows you to easily and quickly purchase durable materials. 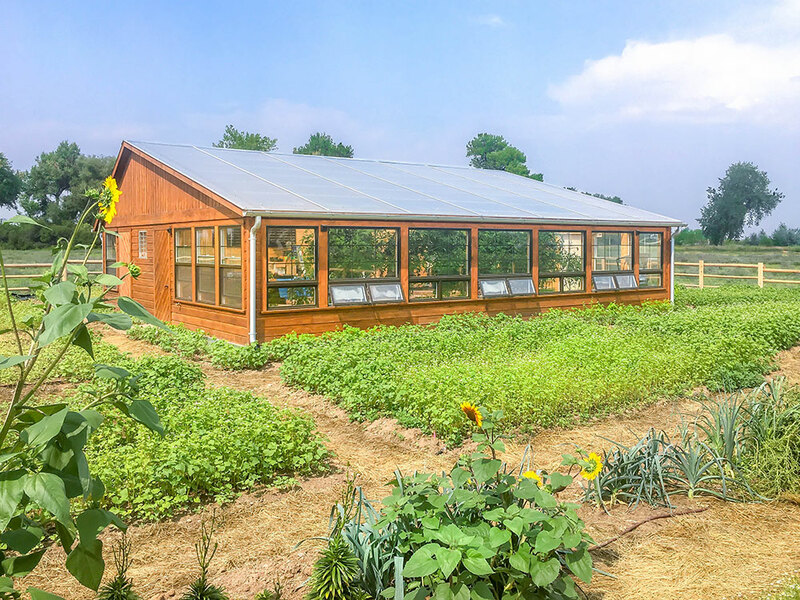 All in all, we’ve taken the trial and error out of building a year-round solar greenhouse, so you can get growing. Note: Plans provide framing layout and materials, but do not give step by step instructions on how to stick frame a structure. We recommend some building experience. If you do not have building experience we recommend hiring a local contractor. Plans Package for standard sizes: $750. Electronic PDFs and / or hardcopy provided. 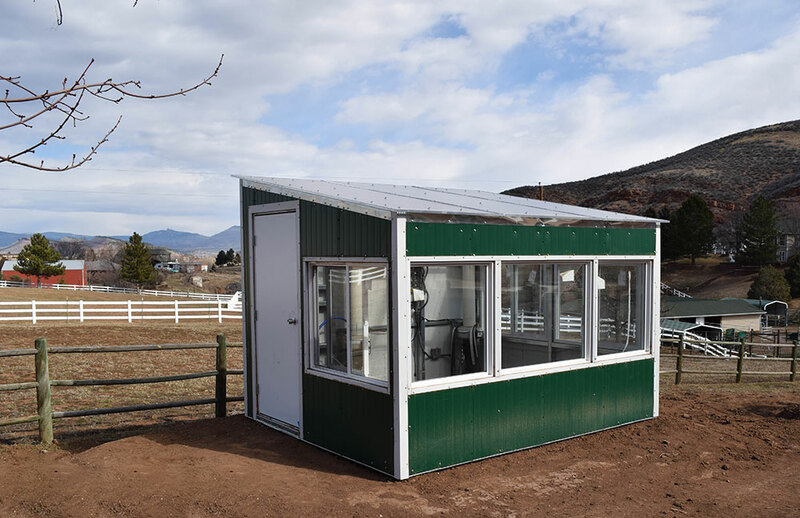 Ceres engineered plans include all the information you need to build a durable, year-round greenhouse. 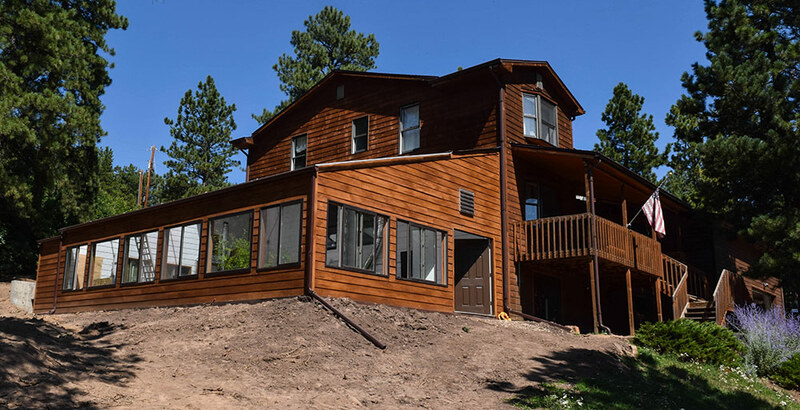 Our plans are designed to provide a long-lasting structure that is safe, and can grow year-round with minimal heating and cooling costs. Want to create your own unique greenhouse design and style? 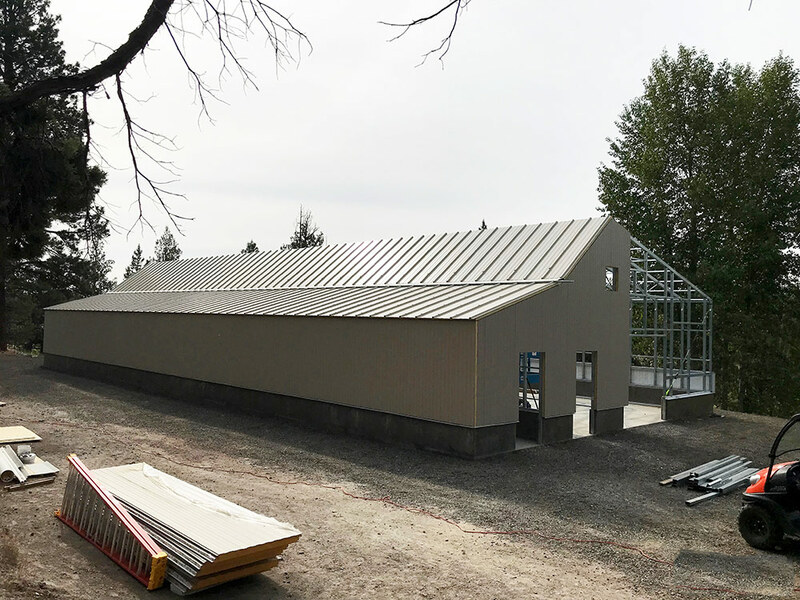 We provide consulting, design and architectural framing and engineering services for custom design, engineering and construction documents for custom greenhouses. 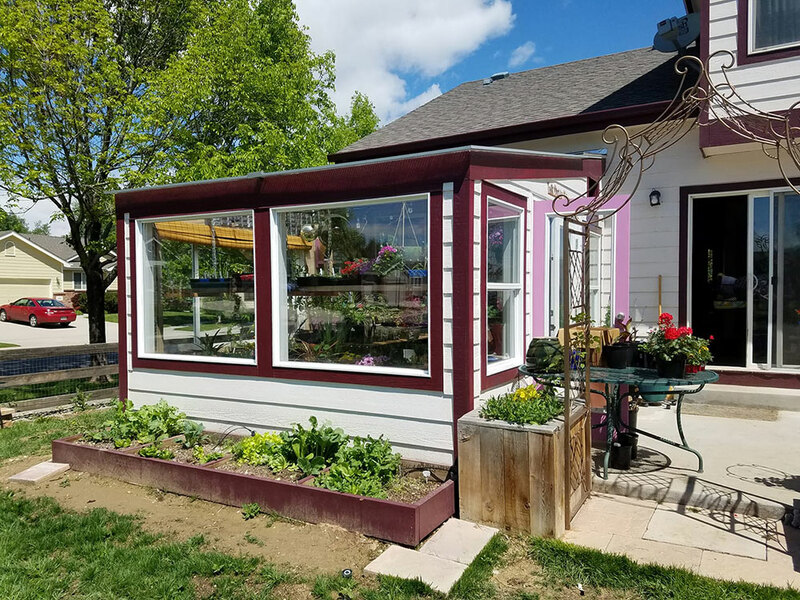 Custom greenhouse designs are based on the project, and typically range between $1,200 and $3,200 depending on size and complexity. We also work with clients existing architects or engineers. Please contact us for more information. 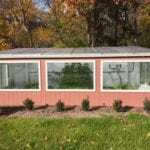 How much does a year round greenhouse cost? 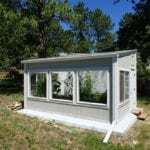 The cost of a year round greenhouse depends on a lot of things, primarily the size, how you source the materials and who builds it. 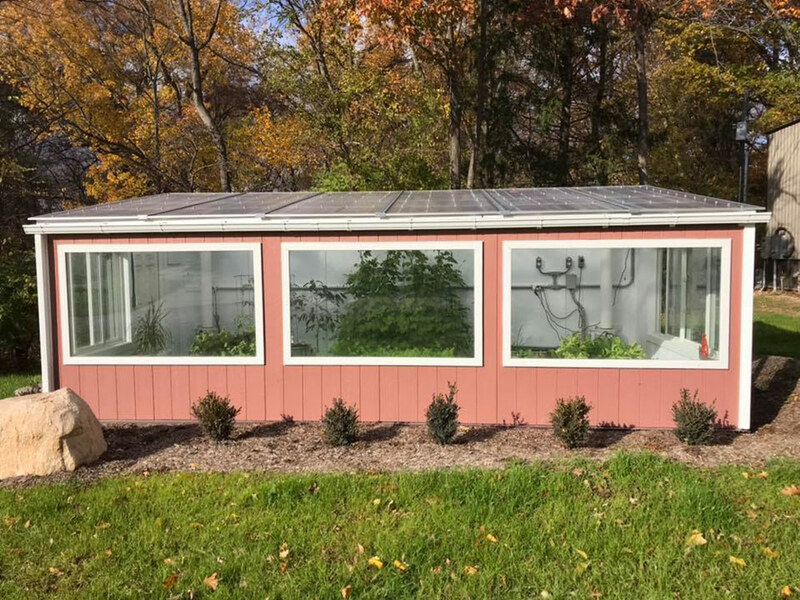 To give you a general idea, some growers use recycled materials and do all the work themselves and spend as little as a few hundred dollars for a residential solar greenhouse. More commonly, growers buy new materials that will last longer, and outsource some or most of the work. 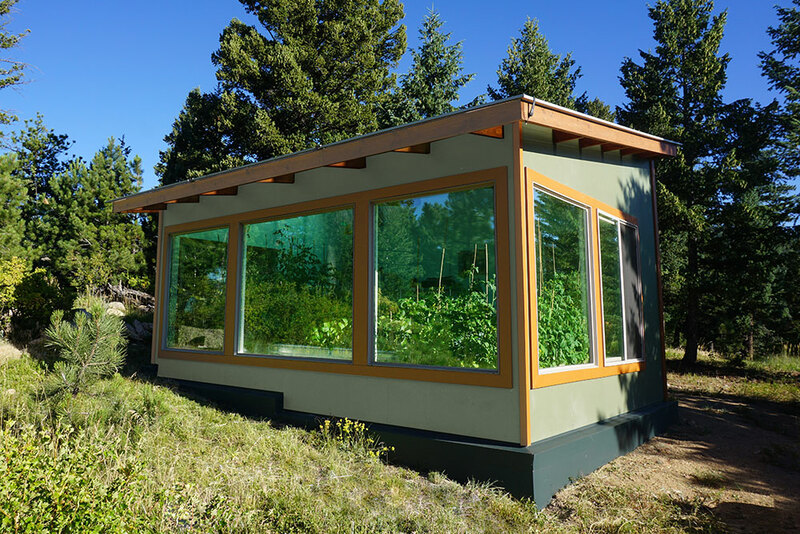 A common range is to spend $5,000 to $20,000 for a durable and energy-efficient back yard greenhouse. This varies greatly by location, and what you are trying to grow. 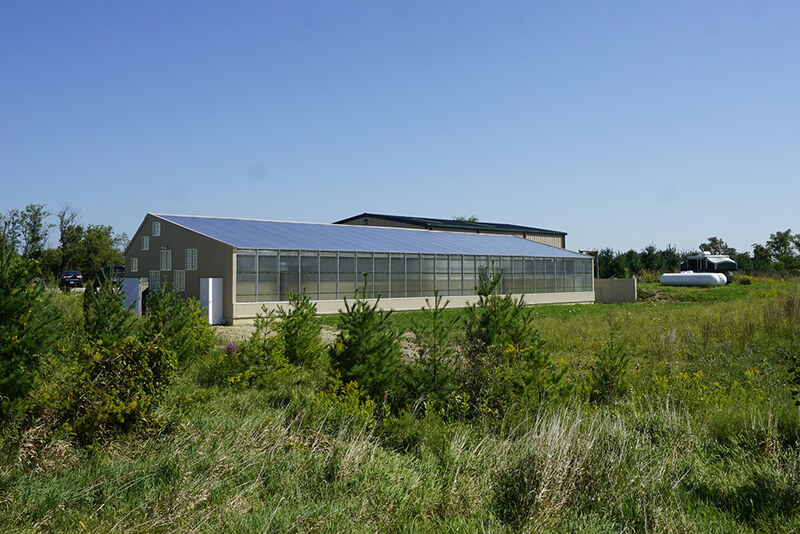 In areas with mild winters, passive solar greenhouses can grow year-round without any back-up heating. 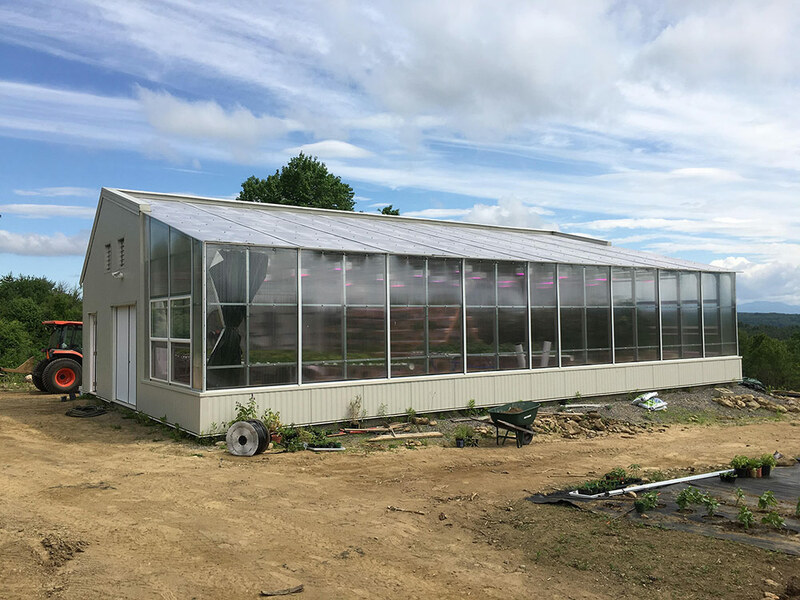 Greenhouses in cold areas can even grow very hardy crops year-round without heating, as Eliot Coleman has proved on his farm in Maine. 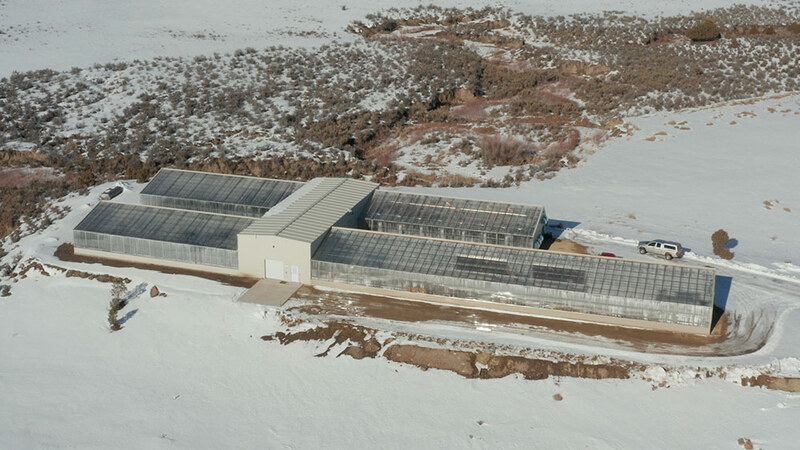 However, to grow a wider variety of crops, in most cold climates an energy-efficient greenhouse will require some back-up heating. 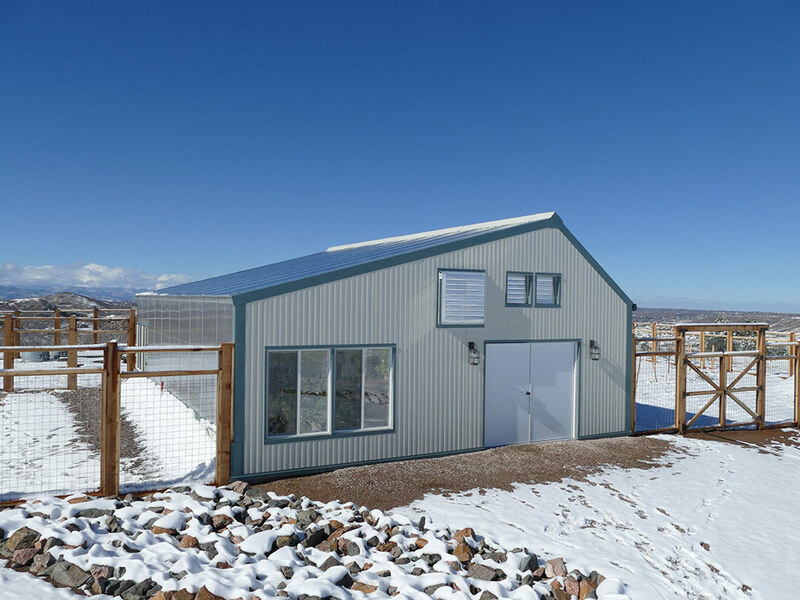 This is usually turned on during a few very cold nights a year — the extreme cold snaps — when a GAHT system, thermal mass, or phase change material is not sufficient to keep temperatures high enough. Yes! 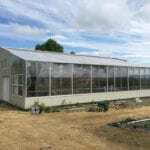 We specialize in custom greenhouse design and engineering. 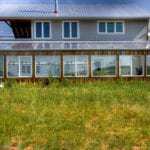 Attached greenhouses have many advantages, such as provide passive solar heating for the home. 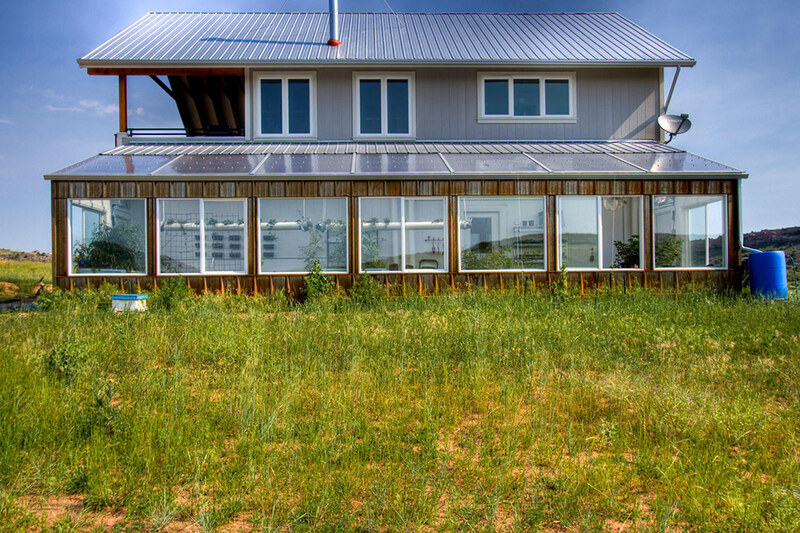 However, they require specialized materials for an energy-efficient structure that won’t be a climate burden for the home. We work with architects and local contractors, adding our expertise in building durable, beautiful and efficient greenhouses. Do you provide services in other countries? 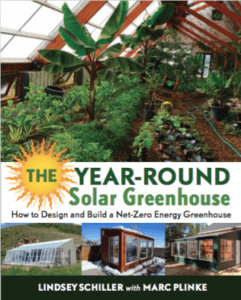 Many solar greenhouse designers recommend using a roof angle that is perpendicular to the angle of the sun in the winter. While this does indeed maximize light transmission in the winter, the effect of a lower angle is not severe. We explain this relationship much further in our blog, Choosing the Best Roof Angle for your Greenhouse. 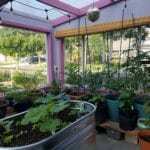 Furthermore, there are a few logistical challenges to creating very steep pitch — you cannot use glass view windows on the south; it can reduce head room or create a awkwardly tall greenhouse. 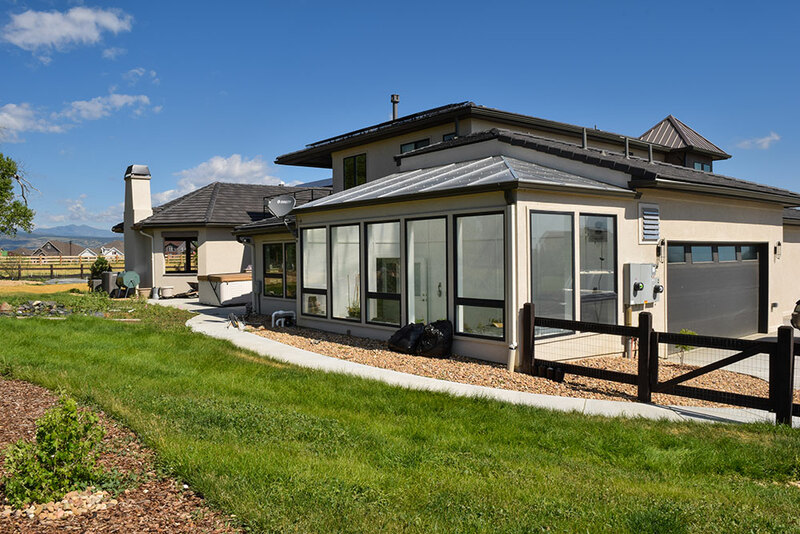 Due to these pros and cons, most of our residential growers are built with a shed-style roof. If you have a need for a steeply pitched roof, just ask us about our custom greenhouse design services.